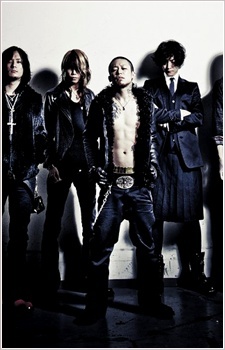 DIR EN GREY (ディル アン グレイ) is a Japanese alternative metal band formed in 1997 from the disbanded visual kei band La:Sadie’s, that have maintained a consistent lineup consisting of 京 (Kyo) on vocals, 薫 (Kaoru) and Die on guitar, Toshiya on bass and Shinya on drums. Their music is sooooo goood! some really cool alt metal songs but the western deathcore stuff tends to be meh with this artist imo. One of my first discoveries of experimental metal and asian music, they bring me nice memories. Some of their early stuff is... questionable, but ever since "Wither to Death" they have been pretty solid. Greatest rock/metal band in Japan, hands down! i think Diru is best band in japan. Can't even describe how much I value them as artists.